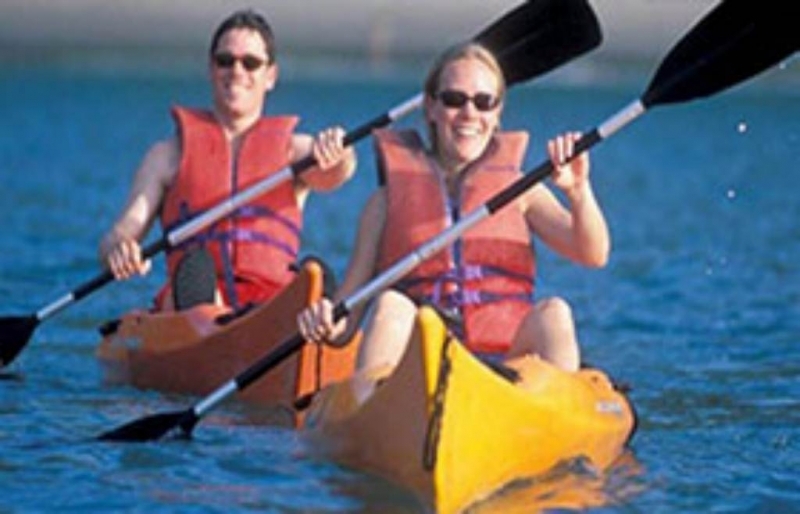 Kayaking is the use of a kayak for moving across a body of water. 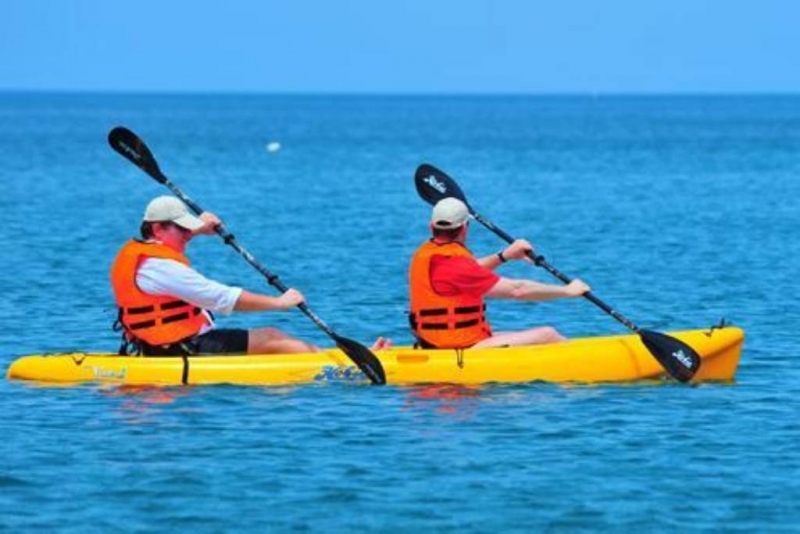 Due to large array of water bodies in the island especially a very large beach front, Sea Kayaking in Sri Lanka has become a very sought after main stream activity that locals as well travelers like to engage in. A kayak has a structure that is low-tothe-water, with a canoe-like appearance with the paddler sitting facing forward, legs in front, using a double-bladed paddle to pull front-to-back on one side and then the other in rotation. Kayaks were created thousands of years ago by the Inuit, formerly known as Eskimos, of the Arctic regions. They used driftwood and sometimes the skeleton of whale, to construct the frame of the kayak, and animal skin, particularly seal skin was used to create the body. These were extremely sturdy for their build materials and the vehicle has retained this exact same shape throughout the world. By the mid-1800s the kayak became increasingly popular and the Europeans became interested. German and French men began kayaking for sport. Incidentally Kayak races were introduced in the Berlin Olympic Games in 1936. In the 1950s fiberglass kayaks were developed and commonly used, until 1980s when polyethylene plastic kayaks came about. Kayaking progressed as a fringe sport in the U.S. until the 1970s, when it became a mainstream popular sport. For Sea Kayaking in Sri Lanka modern Kayaks are used which are built using materials such as fiberglass. are too far to comfortably swim. Kayak fishing has gained popularity in recent times due to its broad appeal especially in 3rd world countries as an environmentally friendly and healthy method of transportation due to its relatively low cost of entry compared to motorized boats and no pre-requisites or special training required to handle them. With 103 rivers and a wealth of swamps, lagoons and interconnected old canals as well as beautiful beach fronts, Sri Lanka is over abundant with water bodies and provides with no end of opportunities to try out Kayaking. Sri Lanka’s famous Kalu Ganga flows from the heart of the island down to the west coast town of Kalutara where it finally meets the Indian Ocean. For an alternative to kayaking experience you can head to one of the country’s many vast tanks and reservoirs. The calm waters of the Samanalawewa reservoir in Sri Lanka’s Sabaragamuwa province provides an ideal setting for this slow-paced activity, perfect especially for a beginner. 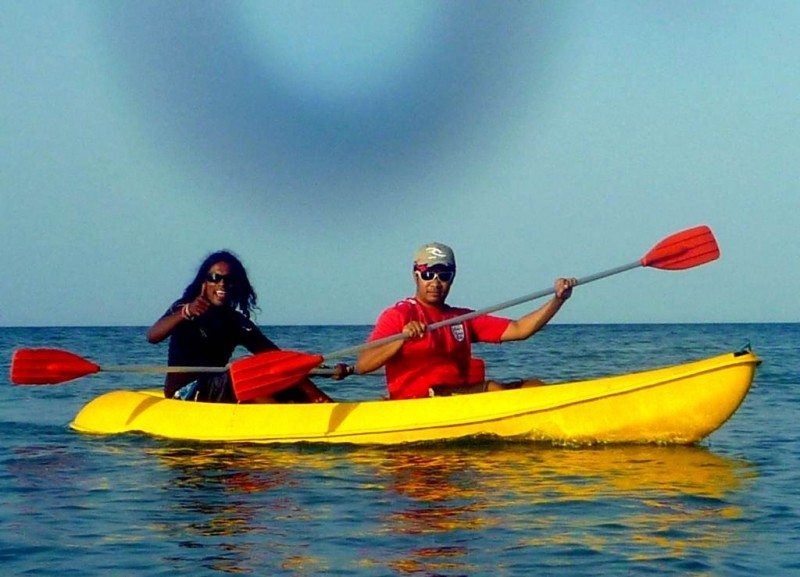 You could also opt to go Kayaking in the sea surrounding the island of Sri Lanka. With lush beaches and the perfect waves, you can create your own adventure story book with the experiences that you will have here. 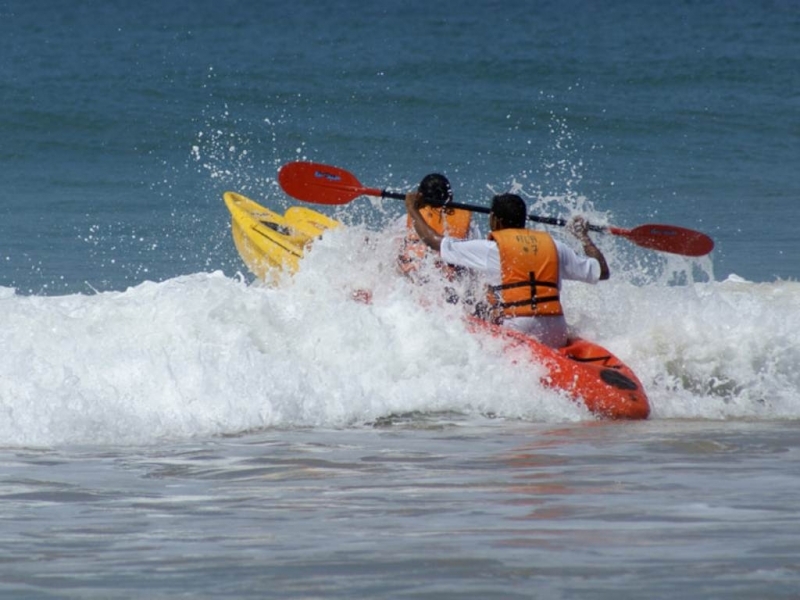 One of the best locations to engage in Sea Kayaking in Sri Lanka is Weligama. Weligama is a small beachside located on the road between Galle and Matara, famous for its ideal surf conditions for beginners and intermediates. It wraps itself around a large sunlit bay with a wide sandy beach. The town is close to where the iconic stilt fishermen cast their fishing lines. Weligama Bay was also home to an eccentric count, who, exiled from France, built a lavish villa on Tabrobane Island, which has been used as the setting for a couple of Western music videos. We take you out with your own guide for a full day to explore stunning Weligama Bay. It is also the perfect place to get a taste of kayak surfing – the surf conditions here are ideal between November and April for a taste of this exciting sport. "I was there few times with my friends. One of best place to visit in Hikkaduwa as Sri Lankans. Hope to visit there soon!" "I had a amazing time with friends. Very peaceful and beautiful lagoon views, Kayaking, Traditional catamaran ride, Swimming, Sri Lankan rice and curry. Highly recommended. If you visit hikkaduwe, don't think twice to go there." " The lagoon cruise in the lake was the highlight of our stay. The man powered boat helps you really listen to every sound in nature, so beautiful and peaceful. The guide and his family were very friendly and humble. It was honestly the best experience we had in Srilanka."